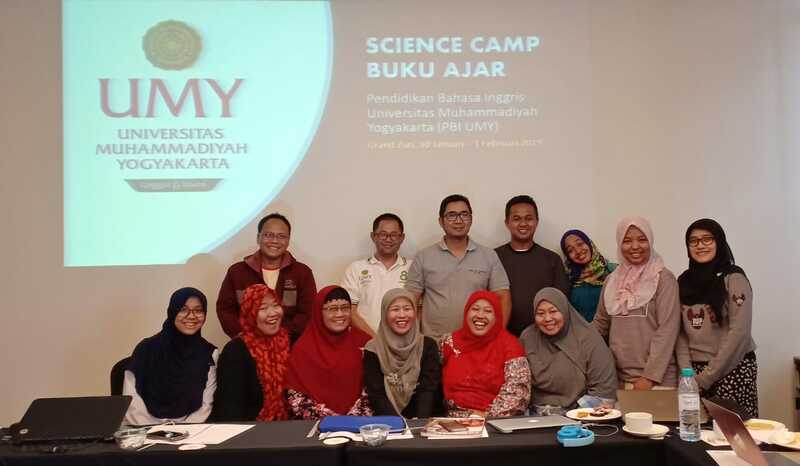 From January 30th to February 1st, PBI UMY held Science Camp for writing up textbooks. Taking place at Grand Zuri Hotel, almost all PBI UMY staff members joined the camp. The event aimed at facilitating the staff members in writing up their coursebooks. Around 8 course and reference books were being composed during the camp. During the three day camp, the PBI UMY staff members worked in team to finish their books. The outcome of the camp was 130 page textbooks. Seven course and textbooks were submitted during the camp. Sri Rejeki Murtiningsih, Ph.D., in the closing ceremony of the program mentioned that she hoped all of the books being composed could be finish by the end of the academic year and could receive funding from the university.